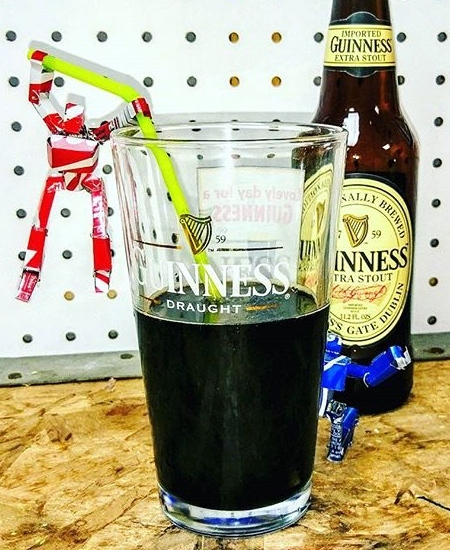 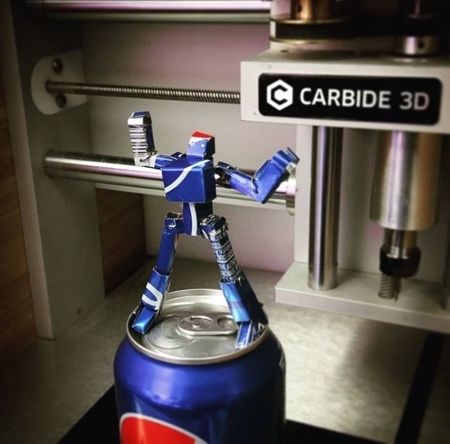 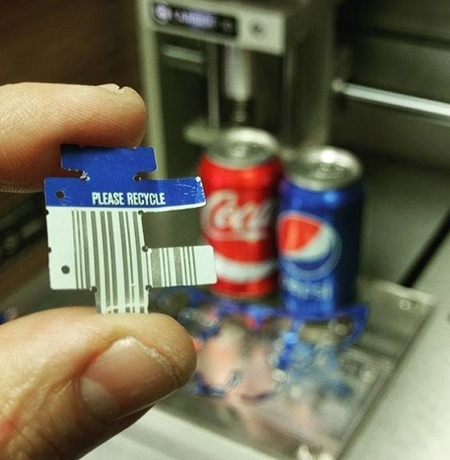 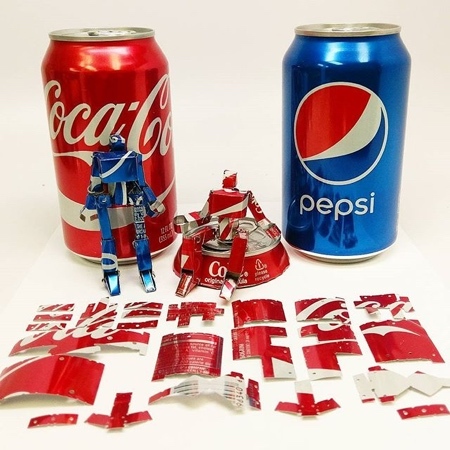 Recycled Coca-Cola and Pepsi cans transformed into miniature toy robots. 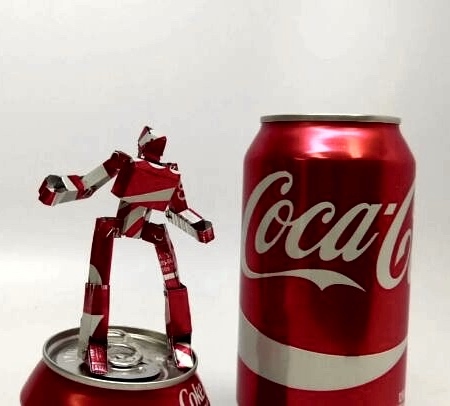 “Soda Pop Robot” project by Apollo Crowe. 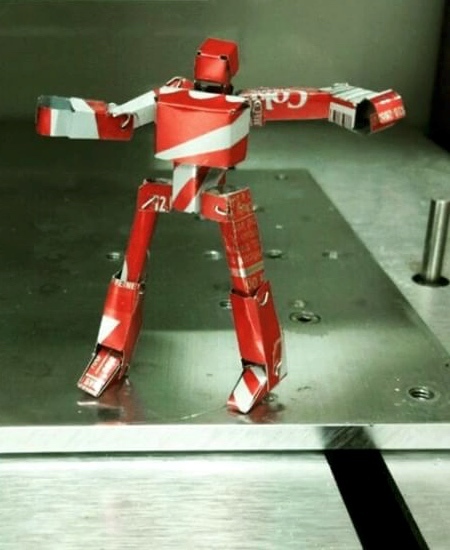 Metal cans turned into robots. 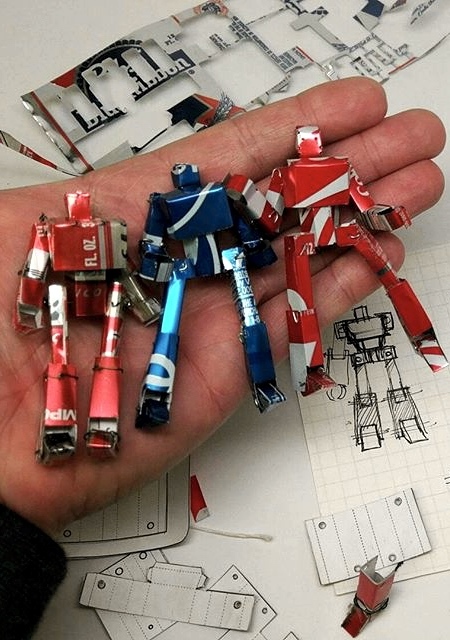 Your next challenge would probably be… making them TRANSFORM.